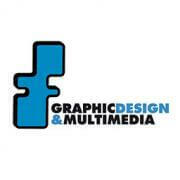 I hold a Masters of Communication in Advertising, graduated from Bond University in Australia and additionally a professional degree in Graphic Design & Multimedia. I have been working for over 8 years as a freelance graphic designer and for the past five years in different companies in Australia and Chile. My freelance and company experience has allowed me to take ownership of many projects from concept to finished art. Moreover, I am very interested in creating new and functional layouts for publications, it is my passion.